Get out for lunch and enjoy some fresh air and wonderful music! SEI Design Group is proud to sponsor Hochstein at High Falls. 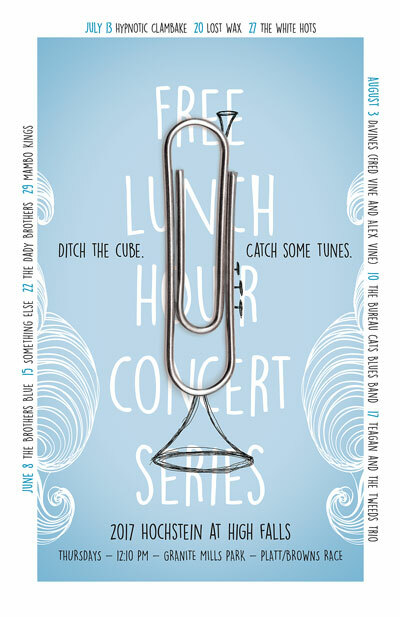 This 10 week music series starts this Thursday with The Brothers Blue playing at noon. See you at the falls!